Management Team | Mandiri Investment Management Pte. Ltd.
Hardiyanto “Anto” Pilia brought with him more than two decades of experience working in the financial industry in Indonesia. Prior to joining Mandiri Investment he was a Director for Bank Mandiri Pension Fund for three years. Before his move to Singapore, he was a DVP of Wealth Product Development at Wealth Management Group and was active as Chairman of Asosiasi Bank Agen Penjual Efek Reksadana Indonesia (ABAPERDI). 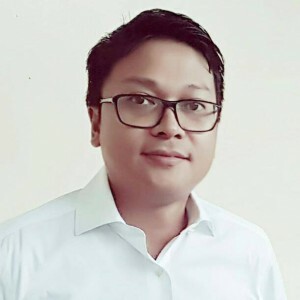 In addition, he also served as Product Manager of Investment Product, Retail Brokerage, Product Manager of Bancassurance and Head of Performance & Risk Management at PT AXA Mandiri Financial Services. He is currently licensed as a representative with Mandiri Investment Management Pte Ltd. He also holds Indonesian-based license as Investment Manager Representative, from Bapepam LK, in 2005, and passed level 2 exam in CFA (Chartered Financial Analyst) program and CWM (Certified Wealth Manager). Anto holds a Bachelor degree in Civil Engineering and Master Degree in Management from University of Indonesia.